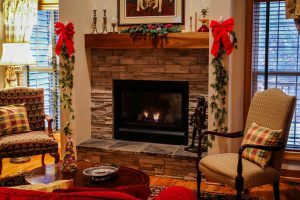 Does the Advent Wreath Have Pre-Christian Roots? 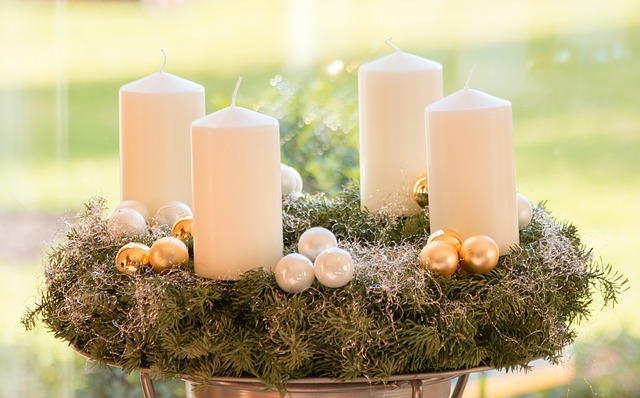 Although it’s true that the use of a wreath decorated with lit candles dates back to pre-Christian Germanic people, it has been used by Christians since the Middle Ages as part of their spiritual preparation for Christmas. As Father Saunders writes in this article, ancient peoples used the wreaths during the cold days of December as a sign of hope for the spring to come. Of course, the Church would never condone such a practice. In fact, there was a time when the early Church father, Tertulian, condemned the use of evergreen limbs in the home because of its association with the pagan culture of Rome, such as the hanging of laurels on the door or “gate” of the home to honor the emperor. “Let them over whom the fires of hell are imminent, affix to their posts, laurels doomed presently to burn: to them the testimonies of darkness and the omens of their penalties are suitable. You are a light of the world, and a tree ever green. If you have renounced temples, make not your own gate a temple,” Tertulian wrote. It’s important to note that he did not condemn the greens, just the purpose for which the greens were being used. By the Middle Ages, Christians were using evergreens and wreaths as part of their preparation and celebration of Christmas. Legend has it that at the time when Christ was born – which was in the dead of winter – every tree throughout the world miraculously shook off its ice and snow and produced new shoots of green. So the greens had tremendous symbolic meaning to Christians. Some mistakenly believe this means Christians “borrowed” pagan customs but this is not true. Our practices don’t derive from a pagan custom, they as assimilated from them. For example, St. Patrick adapted the clover to demonstrate the Trinity much like St. Paul did with the “unknown god” at the Areopagus. “Paul did not derive the idea of God from the Greeks that day, and Patrick did not derive the Trinity from a leaf,” Catholic Answers explains. And so it was with the Advent wreath and its many parts which are rich in meaning. “The symbolism of the Advent wreath is beautiful,” Father Saunders writes. “The wreath is made of various evergreens, signifying continuous life. Even these evergreens have a traditional meaning which can be adapted to our faith: The laurel signifies victory over persecution and suffering; pine, holly, and yew, immortality; and cedar, strength and healing. Holly also has a special Christian symbolism: The prickly leaves remind us of the crown of thorns, and one English legend tells of how the cross was made of holly. The four candles represent the four weeks of Advent with some believing each week represents one thousands years to sum up the 4,000 years from Adam and Eve until the Birth of the Savior. Three of the candles are purple, representing the penitential weeks of Advent with the pink candle representing a day of rejoicing in the middle of Advent to signal the coming feast of Christmas. Some wreaths include a white candle in the middle which is lit on Christmas Eve. Others replace the purple and pink candles with white candles which are burned throughout the Christmas season. Hopefully, this will put to rest any idea that Advent wreaths are synonymous with pagan worship. They are a wholly Christian invention and one of the most beloved of all Christmas traditions. Believe it or not, some people actually believe that the use of Christmas trees was condemned in the Bible. Is this true? Stay tuned for our next blog!